Indian peninsula has a very long coastline of about 7800 kilometres which provides an attractive potential for beach activities. The seas and oceans bring in riot of colours like electric blue, emerald green, grey, white and much more. They bring swirling currents and waves which makes it an attractive option for the surfing and other water sports. Lowest Airfare to all these places are available online. 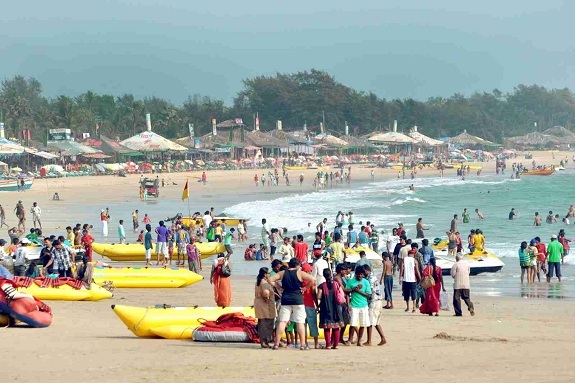 It is one of the popular beaches of Goa. 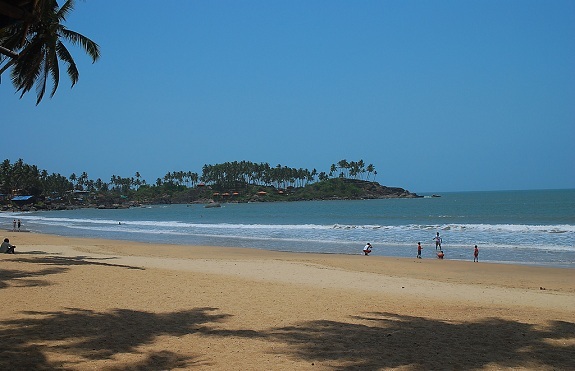 The Anjuna beach is located 8 kilometres from the Mapusa. The major reason for the popularity of Anjuna is that the beach has not changed over time. The look and feel of the beach resembles the same retro 70s. The beach attracts a number of visitors from all over the world and mainly suits the hippies and happy go lucky natures. For those who want some peace and solace must not come here. The beach is lined with a number of party areas where the party goes on and on. The best time to visit Anjuna beach is during the months of November to January. This is another happening beach of Goa. This beach stretches to more than 30 kilometres along the western coast of Arabian Sea. The beach has a number of options for the adventure lovers as there are a number of options for them. There are a number of options to eat here as they serve a number of delicacies and cuisines from all over the world. The beach is popular amongst those who want to enjoy water sports and fishing in the area. The best time to visit Baga is during the months of November to January. This is a popular beach of Kerala. The beaches in Kerala are best suited for who want to admire the natural beauty away from the noise and chaos of the cities. Unlike Goa, you won’t find crowds of people flocking here. The Kovalam beach offers you privacy and silence with the sound of the waves lashing out on the rocks. You can enjoy the walk along the beach in the fine golden sands with your partner. There are a number of Ayurvedic massages Parlours where you can rejuvenate and relax. Besides this, the other attractions include the exotic sea food that is offered in various restaurants that are lined on the beach. 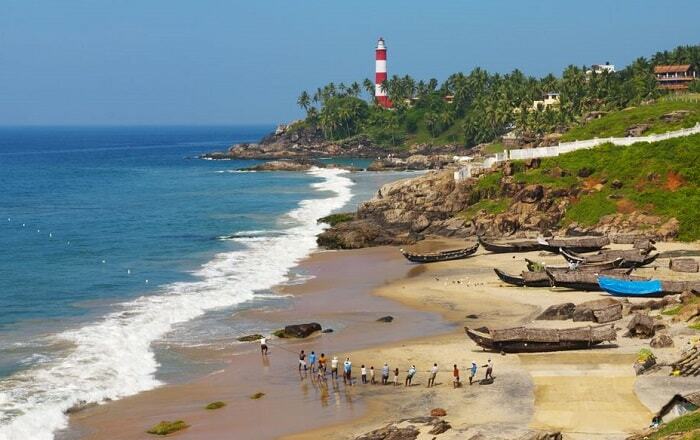 The best time to visit Kovalam beach is during the months of May to September. 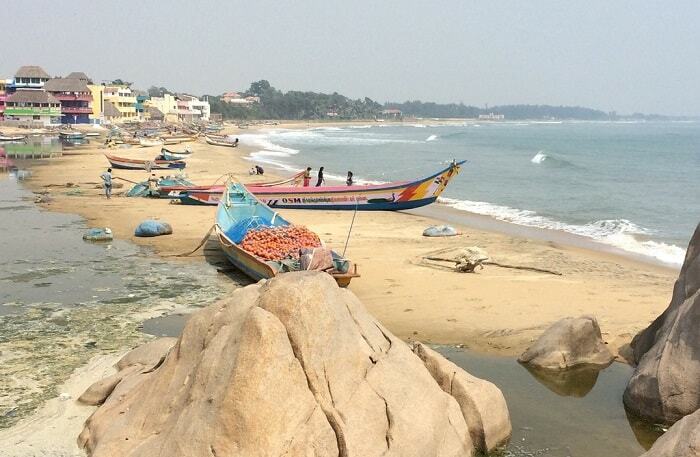 It is one of the finest beaches of Tamil Nadu. Tourists from all over the world come here to explore and enjoy its peaceful ambience. One would be mesmerized by the sheer beauty and elegance and listen to the roaring of the waves along the rocks. There are a number of old age temples and sculptures that are located in its close proximity. The Dept. of Tourism of the Tamil Nadu Government organizes the Dance Festival that acts as a magnet for the Indian as well international tourists. There are a number of luxury resorts, guest houses and budget hotels for the travellers. The best time to visit this beach is during the months of November and February. The beach is situated in the beautiful state of Pondicherry. The golden beach is washed by the warm waters of the Arabian Sea. 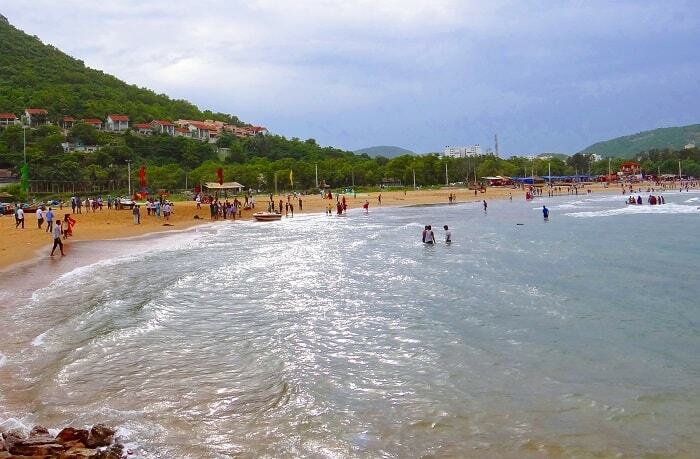 This exotic beach is situated in the backdrop of numerous hills that keeps the climate cool and pleasant. The best time to visit this beach is during the months of November to February. This beach is one of the pleasant beaches of Maharashtra state of India. The local population as well as international tourist enjoys the local delicacies like Vada Pav, Bhelpuri and Pav Bhaji that is served by vendors locally. The beach is situated on the Arabian Sea and is one of the posh localities of Mumbai where you can find the residences of some of the eminent personalities of Mumbai. The Bollywood is mainly concentrated here and you might catch a glimpse of some of the famous personalities of Bollywood. The beach has been shot in various Hindi movies. 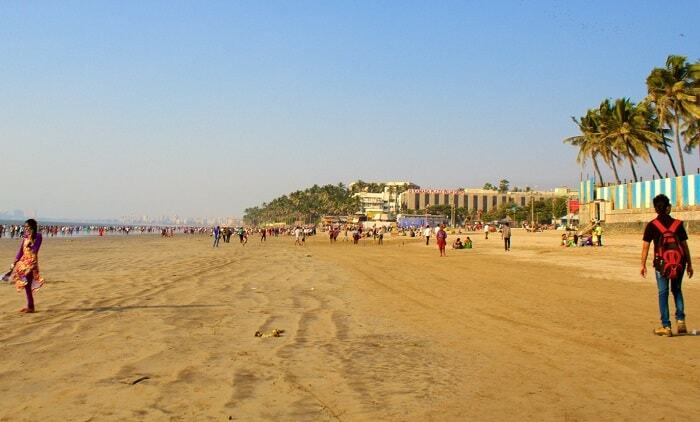 There are a number of attractions along the Juhu beach. The Juhu beach is an evergreen option for those who visit Mumbai and you can visit this beach all-round the year. 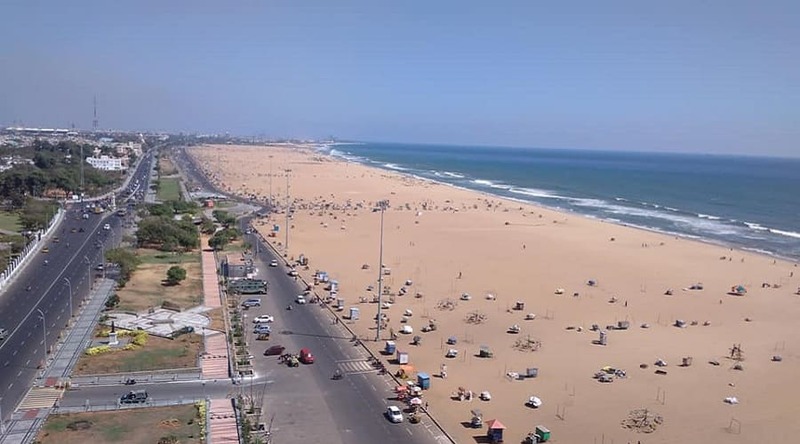 This is the longest beach in India. It comprises of Golden sands that are washed by the crystal clear blue waters of Bay of Bengal. The beach has undergone a major facelift and has been a major tourist of Kerala. The beach has a strong undercurrent and thus it is not advisable that you should do swimming and bathing here. The beach lights up during the evenings when there are a number of stalls and various entertainment activities that are done here. Another attraction that is situated in close proximity to the beach is the aquarium that has some of the exotic varieties of tropical fishes and fresh water fishes. The crowd also visits the Samadhis of Anna and MGR which were the former Chief Ministers of Chennai. It is a good pilgrimage and holiday destination in India. The vast stretch of land along the Bay of Bengal is one of the finest beaches in India. 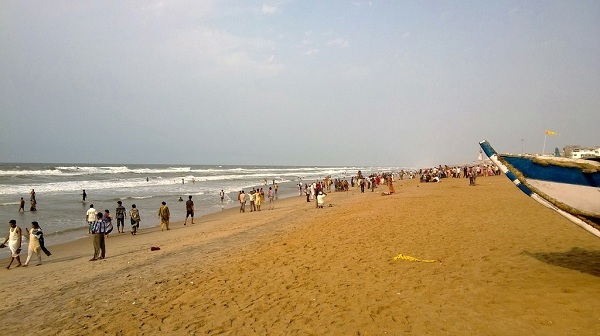 Another attraction on this beach is the temple of temple of Jagannath Puri that is situated on the close proximity.